Coming from one of the most prestigious design houses of traditionally inspired bathroom ware, these highly attractive pillar taps are a fine fit to the traditional, two tap hole wash basin. 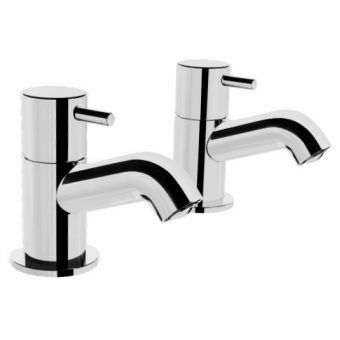 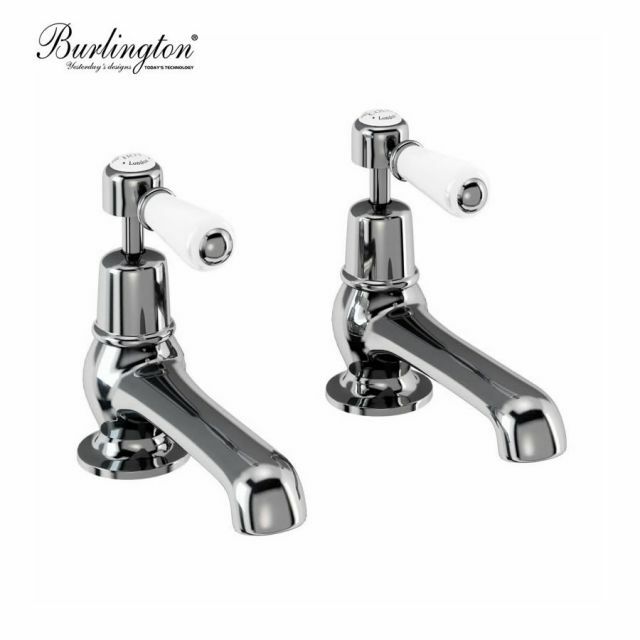 With an extended five inch reach, these basin pillar taps easily match the basin that requires elongated taps, such as those with a bowl set away from the deck mounting area. 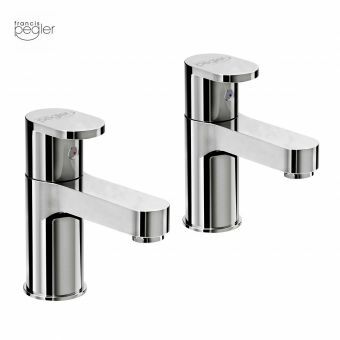 Solid brass bodies coated in chrome give both strength and a resistance to corrosion, while retaining a highly professional and charming appearance. 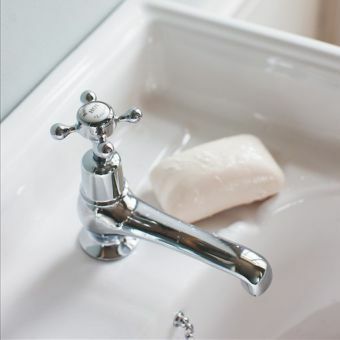 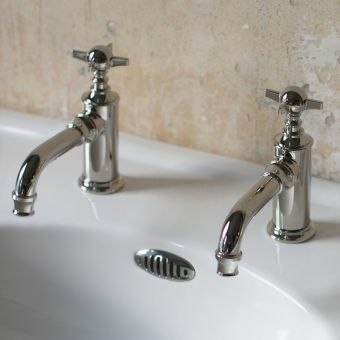 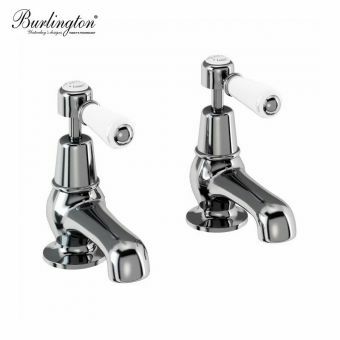 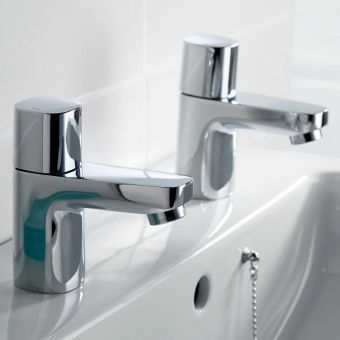 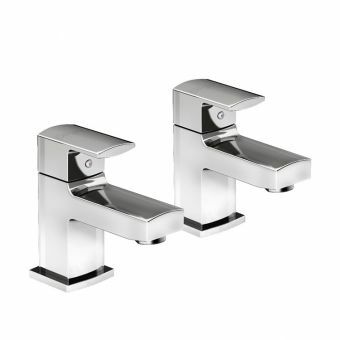 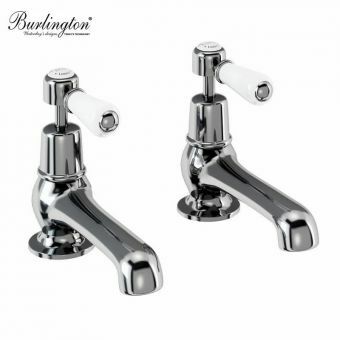 White hot and cold indices are inlaid into the cross headed taps handles, lending them the appearance suitable for inclusion in the period style interior. 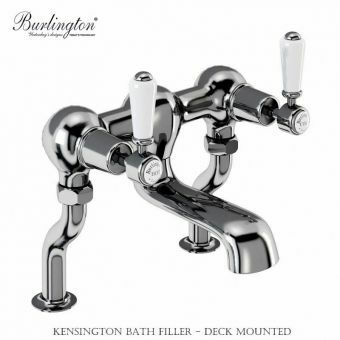 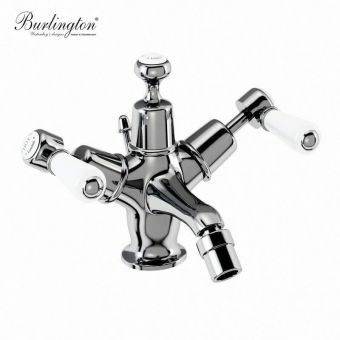 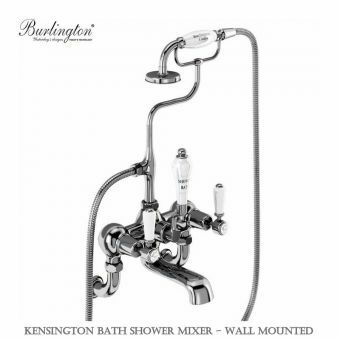 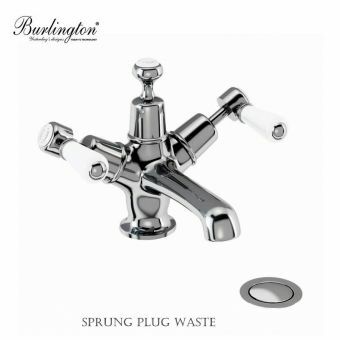 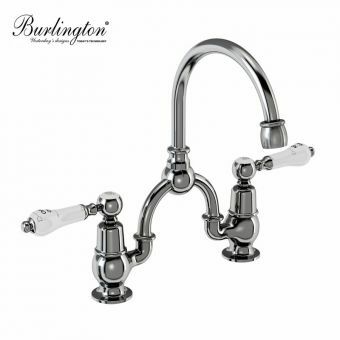 As with all Kensington taps, they feature quarter turn valves as standard. 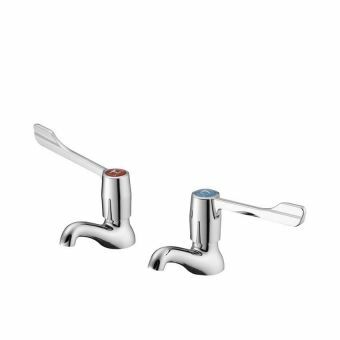 Suitable for use with low pressure plumbing, these taps only require 0.1 bar of pressure to operate. 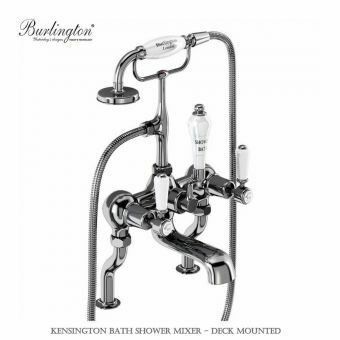 Also available in the Kensington Regent variation, which features the same design but in a taller version.